Front, from left: Philip Chung, PharmD, Teri Fitzgerald, Kate Tyner, Margaret Drake, Sue Beach, Dr. Maureen Tierney. 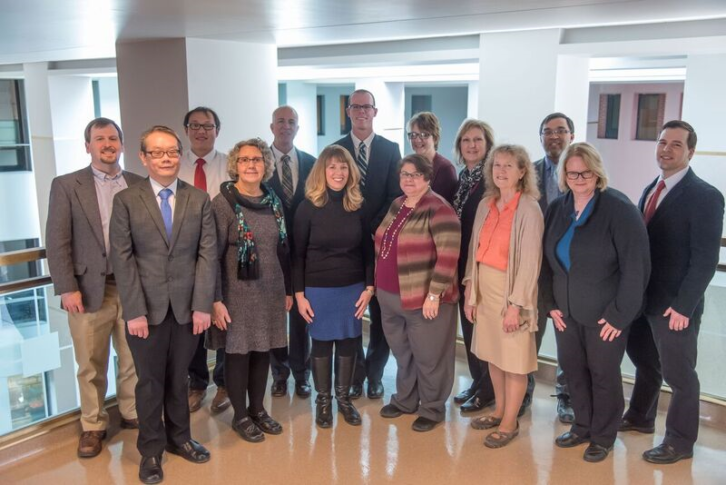 Back, from left: Dr. Trevor VanSchooneveld, Jonathan Nguyen, Dr. Mark Rupp, Jon Tefft, Shelly Schwedhelm, Terry Micheels, Dr. M. Salman Ashraf, Scott Bergman, PharmD. The ASAP team is comprised of professionals from multiple disciplines, modeling after the currently recommended structure of an ASP for a facility. It is led by infectious diseases-trained physicians and pharmacists and complemented by a range of other professionals including hospital administrator, infection preventionist, and clinical researcher. Its primary goal is to improve antibiotic prescribing practices and reduce unintended consequences of antibiotic use. Click below to view biographical information for ASAP team members. 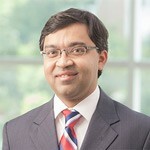 Dr. Ashraf is the co-medical director of Nebraska ASAP (Antimicrobial Stewardship Assessment and Promotion Program). He is also medical director of Nebraska ICAP (Infection Control Assessment and Promotion Program) and an Associate Professor in the Division of Infectious Diseases, Department of Internal Medicine, at the University of Nebraska Medical Center (UNMC). Dr. Ashraf is board-certified in Internal Medicine, Geriatric Medicine and Infectious Diseases. His clinical and research interests include infections in the elderly, and antimicrobial stewardship and infection control in long-term care facilities. Dr. Ashraf has been a member of the Society for Healthcare Epidemiology (SHEA) Long-Term Care Special Interest Group since 2009. As a member of this group, he contributed in revising the infection surveillance definitions (McGeer Criteria) for long-term care facilities. He has also been an active member of the Infection Control Subcommittee of AMDA-The Society for Post-Acute and Long-Term Care Medicine since 2013. In addition, he is currently a member of the Advisory Panel for the SHEA/CDC Outbreak Response Training Program and SHEA Education Committee. Sue is Administrative Senior Assistant of the Nebraska ASAP. She assists with planning, scheduling, recording keeping and on-site visits. She is also Administrative Senior Assistant of Nebraska ICAP. 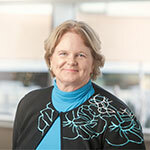 Sue graduated from the University of Nebraska-Lincoln with a degree in journalism and has been employed by Nebraska Medicine for more than nine years supporting infection control professionals. Dr. Bergman is co-Pharmacist Coordinator of the Nebraska ASAP and Pharmacist Coordinator for the Nebraska Medicine Antimicrobial Stewardship Program. He is also a member of the clinical faculty at the UNMC College of Pharmacy. Dr. Bergman received his PharmD from South Dakota State University College of Pharmacy in 2004. He completed residency training in pharmacy practice and infectious diseases pharmacotherapy at West Virginia University Hospitals and School of Pharmacy in Morgantown, WV. Prior to arriving in Nebraska, he was an Associate Professor at Southern Illinois University Edwardsville School of Pharmacy where he was also Infectious Diseases Residency Program Director for HSHS St. John’s Hospital in Springfield, IL. He is board-certified in Pharmacotherapy with additional qualifications in infectious diseases (BCPS-AQ ID). He was recognized as a Fellow of the Infectious Diseases Society of America (FIDSA) in 2016 and as a Fellow of the American College of Clinical Pharmacy (FCCP) in 2017. Dr. Bergman’s areas of interest include the appropriate use of antimicrobials, immunizations, rapid diagnostic testing and treatment of medical device-related biofilm infections. He is the author of numerous articles, book chapters and abstracts. He regularly gives presentations at local, regional and national meetings. Dr. Chung is the pharmacist coordinator of the Nebraska ASAP and co-pharmacist coordinator for the Nebraska Medicine Antimicrobial Stewardship Program. Dr. Chung received his PharmD from Rutgers University College of Pharmacy in 1999 and MS in Clinical Pharmaceutical Sciences from the University of Kentucky College of Pharmacy in 2012. He completed pharmacy residency training in general practice and infectious diseases at the Cleveland Clinic. Prior to joining Nebraska ASAP, he was a Clinical Pharmacy Manager in Infectious Diseases and a founding member of the Antimicrobial Stewardship Program for the Montefiore Medical Center in the Bronx, NY. He was a Clinical Assistant Professor in the Department of Internal Medicine, Division of Infectious Diseases at the Albert Einstein College of Medicine. Dr. Chung’s areas of clinical interest include appropriate use of antimicrobials, comparative effectiveness of infectious diseases pharmacotherapy, and antimicrobial medication safety. He has been an active speaker for the New York City and Westchester chapters of the New York State Council of Health-System Pharmacists. In addition, he has presented a number of abstracts at national infectious diseases and pharmacy meetings. 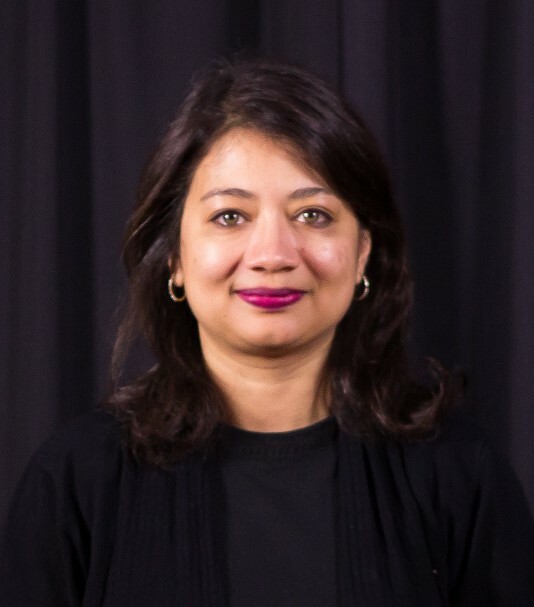 Ishrat Kamal-Ahmed, PhD is the Healthcare Associated Infections Epidemiologist with the Division of Public Health – Epidemiology & Infomatics Unit, and serves ICAP and AAP as the DHHS Health Surveillance Data Analyst. She received her doctoral degree in the Public Health (environmental health, infectious diseases) at the University of Minnesota; she also earned a bachelor degree in Biology: Toxicology and graduate degree in Community Health at Minnesota State University, Mankato. She joined the ICAP and ASAP teams in January, 2019. Terry is the nurse manager of the Nebraska ICAP, ASAP, and the Nebraska Medicine Department of Infection Control. She has worked in the field of infection control for more than 22 years and joined the staff at Nebraska Medicine in 2015. She is also involved in planning and organizing educational programs for the Nebraska ICAP and ASAP. 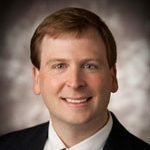 Dr. Rupp is the associate medical director of the Nebraska ASAP and is a Professor and Chief of the Division of Infectious Diseases in the Department of Internal Medicine at UNMC. He is the medical director of the Nebraska Medicine Department of Infection Control & Epidemiology and associate medical director of Nebraska ICAP. Dr. Rupp received his medical degree from Baylor College of Medicine, Houston, Texas and holds a BS degree in Chemical Engineering from the University of Texas, Austin, Texas. He underwent internship and residency training in Internal Medicine and completed Fellowship training in Infectious Diseases at Virginia Commonwealth University. He is a Diplomate, American Board of Internal Medicine, and in the subspecialty area of Infectious Diseases. He is a Fellow of the American College of Physicians (ACP), the Infectious Diseases Society of America (IDSA), and the Society for Hospital Epidemiology of America (SHEA). He is a Past-President of SHEA and is a Past-President of ASM Division L (Infection Control/Hospital Epidemiology). 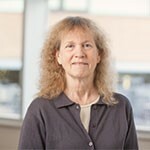 Dr. Rupp has served as a consultant for the US Food and Drug Administration as well as the Centers for Disease Control and Prevention, NIH, and VA.
Shelly is currently the Executive Director of Emergency Preparedness which includes the Nebraska ASAP, ICAP, and the Nebraska Biocontainment Unit as well as Infection Prevention at Nebraska Medicine. She had overall accountability for unit operations and logistics during the recent care of patients with Ebola virus disease. Prior clinical accountabilities include Director of the Emergency Department, Trauma Program, Perioperative Services and Emergency Preparedness Services. Shelly attended Methodist School of Nursing where she received her diploma degree in 1982 and her Bachelors of Science degree in Nursing from the University of Nebraska College of Nursing in 1992. She completed her Masters in Nursing degree from Nebraska Wesleyan University in 2007. She is certified as an Advanced Nurse Executive and maintains an Advanced HazMat Life Support certification. Shelly is actively involved in the Omaha Metropolitan Medical Response System (OMMRS) where she is Chairperson of the Healthcare Coalition Committee and serves on the Steering and Executive Committees. Jon is a Database Analyst for the Nebraska ICAP and ASAP programs. He received his Bachelor of Science from the University of Nebraska-Lincoln and his Master of Public Health in Epidemiology from the University of Nebraska Medical Center. Prior to joining ICAP/ASAP in January 2019, he worked at UNMC since 2014 in clinical trial research in the Division of Infectious Diseases and Division of Oncology/Hematology. Dr. Tierney is the Director of the HAI Program in the Epidemiology and Informatics Unit of the Nebraska Dvision of Public Health. Dr. Tierney is also an Adjunct Associated Professor at the College of Public Health, University of Nebraska School of Medicine. Dr. Tierney is a Diplomate (board certified) in Internal Medicine (IM) and Infectious Disease (ID) by the ABIM, American Board of Internal Medicine. She received her medical degree from Cornell Medical College, and her training in IM and ID at the New York Hospital and the Massachusetts General Hospital (MGH), respectively. She joined the staff in ID at MGH and also served as Fellowship Director there before leaving to become the Chief of ID at the West Roxbury VAMC in Boston, MA. Dr. Tierney also received a degree in health services administration from the Harvard School of Public Health and later become a senior medical reviewer for the FDA from 2002-08. She has published articles on HIV therapy, eye and ear infections, and the efficacy of certain antibiotics and antifungal therapy. She is a member of the American College of Physicians, the Infectious Diseases Society of America, the Society of Hospital Epidemiology and the Council of State and Territorial Epidemiologists. 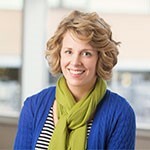 Kate is Nurse Coordinator of the Nebraska ASAP and ICAP. She received her Bachelor of Science in Nursing from UNMC. She has been working in infection control and prevention since 2005, in both inpatient and ambulatory locations and has been certified in Infection Control and Epidemiology since 2008. She has been an instructor with The Nebraska Infection Control Network for several years. She has contributed to many publications and presentations, but most enjoys educating healthcare professionals on the prevention of healthcare acquired infections. Dr. Van Schooneveld is co-medical director of the Nebraska ASAP and an Associate Professor in the Division of Infectious Disease, Department of Internal Medicine at UNMC. He received his MD from the University of Nebraska Medical Center and subsequently completed an Internal Medicine residency, including a chief resident year, at UNMC. He then completed his Infectious Diseases fellowship training at Creighton University Medical Center. Dr. Van Schooneveld is the medical director of the nationally recognized Nebraska Medicine Antimicrobial Stewardship Program and is also an associate medical director of the Department of Infection Control and Epidemiology. He serves as the program director for the UNMC Infectious Disease Fellowship Program. Dr. Safranek was born in Omaha and attended both the University of San Francisco and Georgetown University of Medicine. 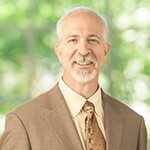 He has been licensed in the state of Nebraska as a Physician and Surgeon since 1982. Prior to accepting his current position with the state of Nebraska, he was an Epidemic Intelligence Service (EIS) officer at the Centers for Disease Control in Atlanta, GA. He was also an attending in Infectious Diseases at Creighton and was head of the Infection Control Committee at Creighton’s St. Joseph Hospital. He has served as the Nebraska State Epidemiologist since 1990. In this capacity, he oversees epidemiologic investigation and response for communicable diseases, chronic diseases, injury surveillance, and maternal-child health epidemiology. In addition, he oversees a public health unit responsible for identification and control of bioterrorism in the state of Nebraska. Robin Williams is an epidemiologist with the Nebraska Department of Health and Human Services in the Division of Public Health. She completed her master’s degree in public health at UNMC. 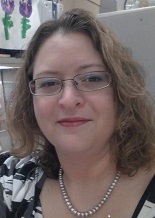 She currently is the grant coordinator for the CDC’s Epidemiology and Laboratory Capacity grant which supports the ICAP program as well as the Nebraska State influenza surveillance coordinator. She is a member of the Public Health Association of Nebraska where she serves on the Board of Directors and co-chairs the Epidemiology and GIS section of PHAN. She is also a member of the Council for State and Territorial Epidemiologists.